The Hodogaya Chemical Group established a joint venture company, Hodogaya JRF Contract Laboratory Co., Ltd., with the JRF (Jai Research Foundation) Group in India in 2014. 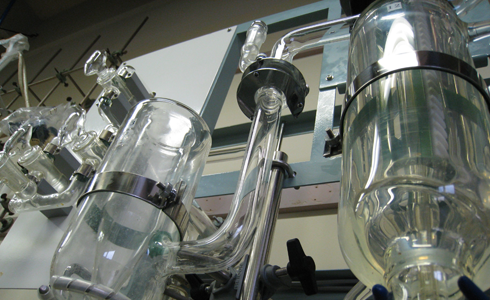 The company provides assistance to research and development activities by drawing on phosgene-based synthesis reactions, a technical area in which we are known to excel, and other advanced synthesis and analytical technologies that the Hodogaya Chemical Group has acquired over many years of experience in the fine chemical sector. The company also contractually conducts agricultural GLP compliance tests for customers. It utilizes the facilities that conform to the GLP standards specified by the Chemical Substances Control Law to provide testing services and notification submission agency business for customers. Furthermore, through its affiliation with JRF in India, the company conducts various toxicity tests. Hodogaya JRF Contract Laboratory provides support to a broad range of customers in the “pharmaceutical,” “chemical,” and “agricultural chemical” fields. 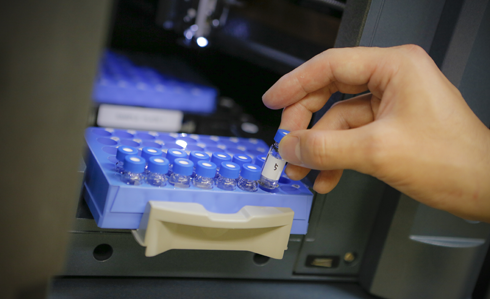 We offer sound knowledge-led expertise in synthetic organic chemistry coupled with strong analytical chemistry for meeting the challenging synthesis projects for your molecules. 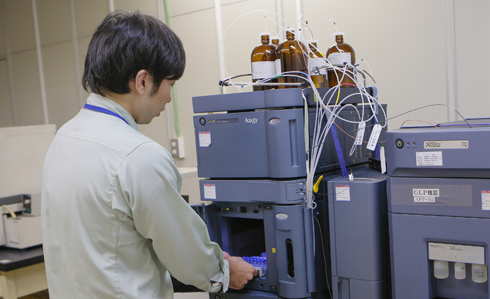 Since its establishment, Hodogaya Chemical has been synthesizing diverse samples ranging from existing substances to unknown (new) compounds based on the synthesis technology accumulated through the exploratory research on agricultural chemicals, development of electronic materials such as CCA and OPC, and various experiments on phosgene reactions. They range widely from intermediates for pharmaceutical and agricultural chemicals to electronic materials and monomers. We can respond to the request for contracts on a project basis or fixed term contracts (FTE). We can also propose synthetic routes and provide assistance in process development. We not only perform laboratory-scale synthesis to produce samples weighing several mg to several kg, but also conduct small-quantity trial production by utilizing our outsource network. If you are looking for an outsourcing contractor, we would be grateful if you could include us for your consideration. For any inquiry a response will be given sincerely. Master Service Agreement should be entered first with a new client.This document primarily takes care of confidentiality as well as responsibilities of either party. Cost of material and man hour cost is estimated. Send an examination contract,material qestionnaire and test material. Delivery of synthesic product and report. We cater to our customer needs being highly reliable, services offered by our expertise, experience focused on uncompromisable quality standards. We has acquired expertiseleading to strong analytical capability in compliance with the Japanese GLP standards. With huge experience spreading over last 20 years, we are offering our services to our large customer base. We believe in offering proper service to our clients, maintaining reliability, utilizing our expertise and advanced technology. Strict confidentiality will be maintained. Talk about how to proceed with examinations. Additinal expenses may be necesary. Send an examination contract,Questionnaire on test material,Material for testing.Depending on nature of exmination advance may be asked. Value your communication.Depending on test an interim report and flash report will be sent promptly. A report that is necessary for notification/registration will be sent. As GLP compliant institute we carry out Biodegradation test, Bioaccumulation test & Bioconcentration test, Partition coefficient measurement and Ecotoxicological effect test as per chemical substances control law. Further, we carry out Mammalian Toxicity, Developmental and Reproductive toxicity and Mutagenicity tests our associate laboratory - JRF according to safety and health law for purpose of prevention of health hazards in people handling chemicals. 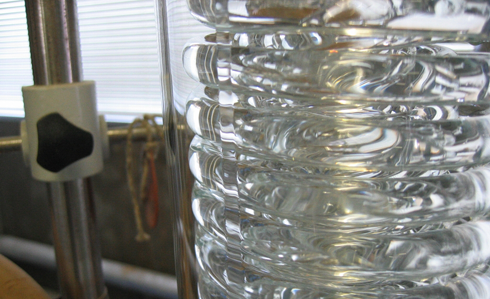 Boiling point, Melting point, Thermal stability, pKa,Hydrolysis, Partition coefficient, Water solubility, Solubility in organic solvents, Absorption/desorption , Spectra(UV, IR, MS), Density, Bioconcentration & Bioaccumulation test, Color, Physical form, Odor. Hodogaya JRF Contract Laboratory Co., Ltd.